Mr. Morado has more than 14 years of experience in the design, administration, and analysis of community market research. He has serviced as the project manager and senior researcher on community research projects for over 250 local governmental organizations throughout the U.S. He has also assisted in the coordination and facilitation of focus groups and stakeholder interviews for a wide range of parks and recreation needs assessment surveys, strategic and long range planning efforts, comprehensive planning efforts, and other customer satisfaction initiatives. 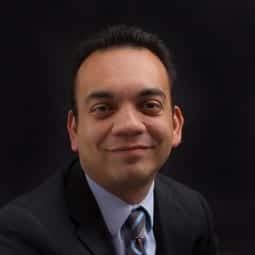 Mr. Morado has served as a senior researcher and project manager for Customer Satisfaction Survey Research for dozens of local governmental organizations. Please see resume for a comprehensive list of cities Mr. Morado has worked with. Mr. Morado has served as a senior researcher and project manager for Parks and Recreation Needs Assessment Surveys for dozens of local governmental organizations. Please see resume for a comprehensive list of cities Mr. Morado has worked with.